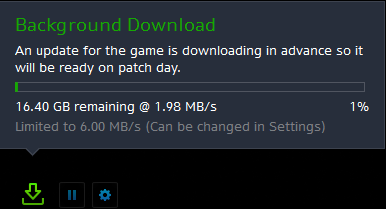 You guys might have received the 16.40 GB download today running in the background, that the download size for 8.1 content. What this means is the current PTR patch and all its patch notes are the FINAL BUILD and there won't be any major changes going forward in the 8.1 build. Blizzard recently announced improvements to Azerite Armor acquisition from Mythic+. You can find more details here. Heritage Armor will be added for non-Allied Races; Blood Elves & Dwarves are first on the list. There's no reputation grind behind this. If you're at max level and Exalted with Ironforge/Blood Elves, you can start the quest and complete a scenario to get your Heritage Armor. Reputation Paragon for BfA factions is coming. Champions of Azeroth reputation will be made account-wide. Incursions are a new feature similar to Legion assaults. The outdoor zone will be updated just like Arathi Highlands with new quests, rares, etc. War Campaign continues with the Alliance leading a direct strike at the Zandalari Fleet. Siege of Zuldazar is a nine-boss raid where the foe is the opposing faction. Alliance players will join Jaina and her forces to fight their way up to the pyramid to confront Rastakhan. Horde players will try to defend the pyramid, fighting Jaina in the High Seas as the final boss. Crucible of Storms is a two-boss raid located under Shrine of the Storm that hints at Queen Azshara. It's Battle for Azeroth's "Trial of Valor" raid. Allied Races: Kul Tirans and Zandalari Trolls will become available for gameplay after the Siege of Zuldazar raid. You can find more details about how to unlock them here. Tyrande's Ascension - players will unlok new Night Elf Warrior customization options with dark eyes. Vol'jin's Story Continues - The Shadow Hunter is looking for answers in 8.1 as he tries to figure out why he appointed Sylvanas for Warchief. You will be able to unlock Legion Allied Races faster in Patch 8.1. Multiple Classes are subject to changes in Patch 8.1. These include Elemental Shamans, Shadow Priests, and Protection Warriors. So far, Blizzard outlined plans for Elemental Shamans. They haven't decided what to do with Protection Warriors just yet. Draenei totems received new models with a higher polygon count in 8.1. Game Director Ion Hazzikostas unveiled Patch 8.1 on September 18.